HomeOpinionShould politicians or controversial people be invited to speak at universities? Should politicians or controversial people be invited to speak at universities? Mmillennials are commonly pigeonholed as ‘snowflakes’ who reside comfortably within ‘safe-spaces’ – taking offence to everything, sanctimoniously opposed to challenging ideas in a world increasingly awash with identity politics. Recent student demonstrations in the US, some of which became violent, questioned the very core of the definition of free-speech in a country founded on the principles of the First Amendment. Is hate-speech an ugly necessity, or is it loathsome, with ideals that must be suppressed to protect the vulnerable? Right-wing provocateurs have had their speeches shut-down or disrupted through student demonstrations, seen partisan violence breaking out as a result of them being provided with platforms, and what’s become even more widespread is the disinvitation of guest speakers. Earlier this month, Brexit ringleader Nigel Farage had his Trinity College Historical Society’s gold medal for “outstanding contribution to public discourse” rescinded after uproar from students. The society’s auditor argued that it is “vital the society remains a platform of free enquiry and debate”. 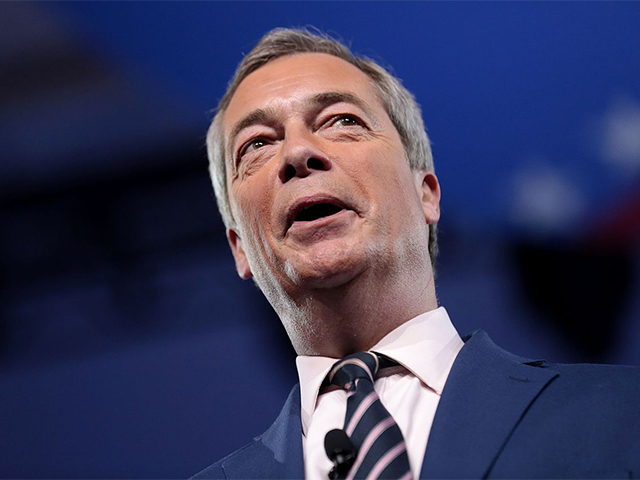 Farage’s invitation to speak has not necessarily been removed, but the auditor made it clear that the society did not wish to endorse Farage’s views in the way of awarding him a gold-medal. Discontent bubbled when alt-right reactionary Milo Yiannopoulos was asked to speak to UCD’s Economics and Philosophy society last year. Staggeringly, demand for the event soared and Milo’s uniquely repugnant ability to cascade sexist, racist and Islamophobic attacks as ‘intellectual’ anti-political correctness was met with debate and inquisition in a Q&A which last over two hours. Meanwhile at the University of California in Berkeley earlier this year, an organised speech by Yiannopoulos was cancelled by the college after thousands of students gathered in protest and a group of anti-fascist activists (ANTIFA) shot fireworks at the speech venue. Speeches and talks can be effective tools in swaying public opinion and their importance is often underestimated, particularly in a world where Trump’s rabble-rousing not only mobilised pre-existing tensions and fears but also allow him to continue to act so abhorrently in elected office without fear of consequence. Shutting down dissenting and inflammatory viewpoints is seen by many as a means of removing a platform for certain controversial figures but in the age of the internet, this is an almost impossible feat. Conservative firebrands like Yiannopoulos and Ben Shapiro and online alt-right apologists continually refer to conservatism as the new counterculture due to the perceived overbearing elements of left-wing politics and political correctness within mainstream culture. They are not wholly wrong – many students will take offence but much fewer will actually challenge opposing views directly. There also is a difference, open to much interpretation, between thought-provoking discourse and out-right provocation. By their nature, colleges are arenas for robust debate and free-flowing ideas and restrictions to free-speech should be limited. The identity politics argument casts our generation as anti-free speech and politically correct when students are in fact directly involved with the democratic process. In recognising discrimination such as racism, sexism and xenophobia within our institutions and culture, we seek to avoid seeing history repeat itself and strive for a more accepting and progressive status quo. Although certain challenging views should not be suppressed and guests allowed to speak, there is also a responsibility to avoid providing platforms to self-serving antagonists.